This tunic has a very simple design. I tried combining two things- a stole and a tunic. Both these were bought at different times. 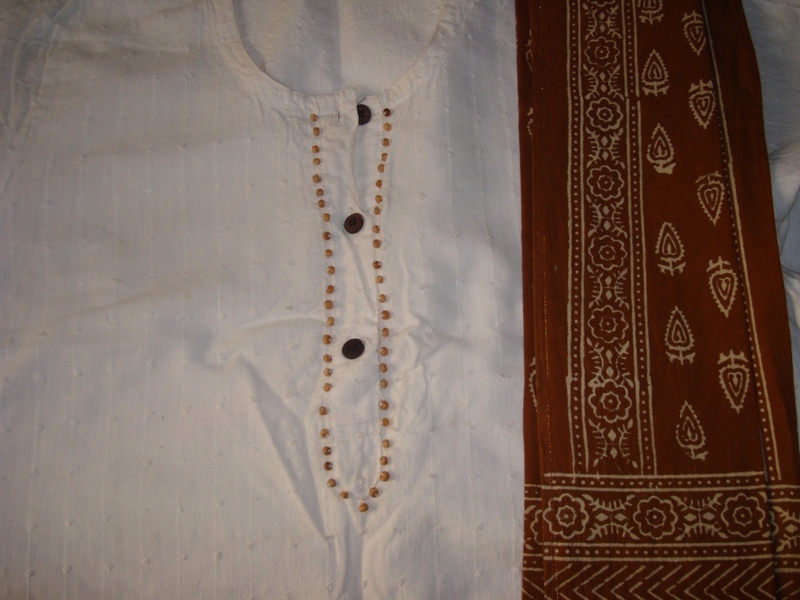 I wanted to attach an edging in tatting or crochet onto a tunic, for this purpose a cream readymade tunic in handloom loom cotton was bought and kept for months. The edging was not coming along. The stole with block prints was bought recently. 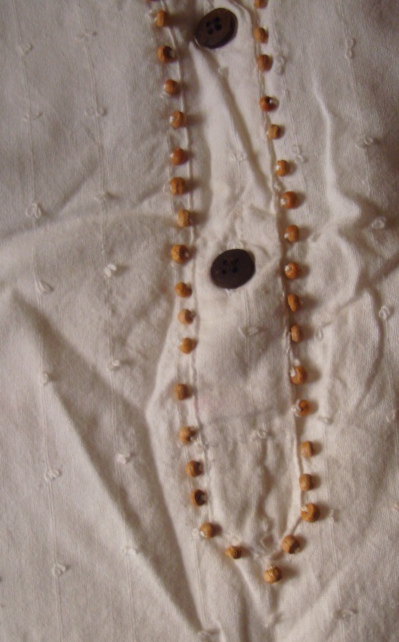 I also had some wooden beads, they were of the same colour of the stole, combining these two, I attached the beads to the front of the tunic. The completed tunic with the stole. The tunic has a special weave, I don’t know the name of it, but it enhanced the overall look of this set.